Along Pasteur Drive sits a collection of rectangular four-by-ten gardening plots portending the promise of new vegetation. This marks the site of one of two new BeWell Community Gardens — the other located on Lane B — built to replace the Stanford Community Farm. This past November, faculty, staff and student gardeners of the Stanford Community Farm relocated to the new gardens because the University decreed an expansion of the University golf course, which had lost land to the construction of Stanford Energy System Innovations (SESI). The new gardens entail new changes, including the transition from ground farming to raised beds, reduction of plot size, new requirements for permission to farm and increased farming fees. Stanford Residential & Dining Enterprises (R&DE), which manages other gardens on campus, and the BeWell program will manage the new farm. 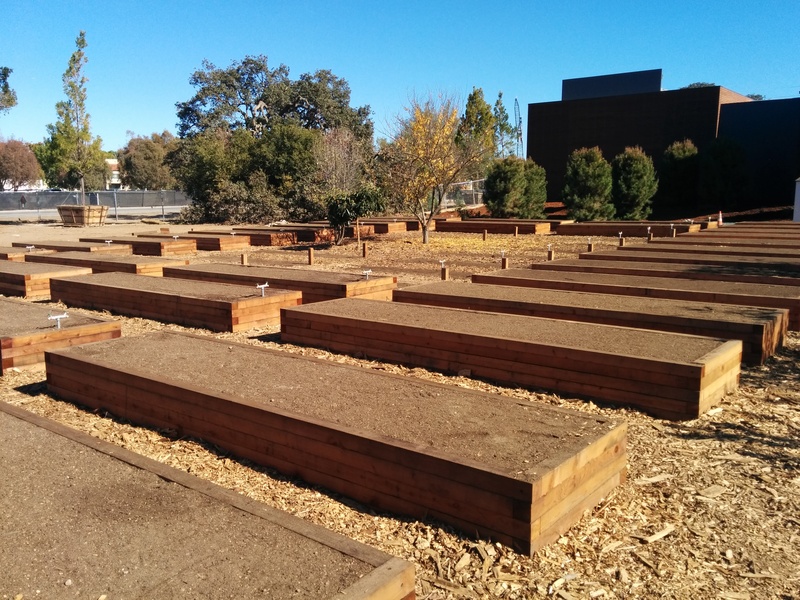 The new farm will require eligible plot-seekers — University staff, faculty, currently enrolled students and Stanford Hospital & Clinics employees — to complete the BeWell gardening course to receive a plot. Faculty and staff will also have to take the Stanford Health and Lifestyle Assessment. Pablo García del Real ’15 Ph.D. ’09 B.A., a geology student who had a plot at the old farm for nearly four years, explained the farm used to be managed by plot-owning students and faculty. After applying for a plot in 2010, García said he was stuck on the waiting list for two and a half years before somebody contacted him about the plot. Miller detailed a cactus garden, chickens and a heritage tree that had taken years to grow on the old farm — none of which will be transported to the new farm, which consists of four-by-ten raised beds. García explained that the old farm allowed him to feed himself almost entirely during summers off of his own produce, while the new plots will be too small to allow for future projects of similar scale. Yet, he said, the smaller plots and the more public location of the new farm mean that more prospective farmers will have access to resources to grow their own food. When reached for comment, R&DE did not provide response. The original printed version of this article incorrectly matched a photo with this article. The photo of Stanford Community Farm is now accurately portrayed in this online version. The Daily sincerely regrets this error.